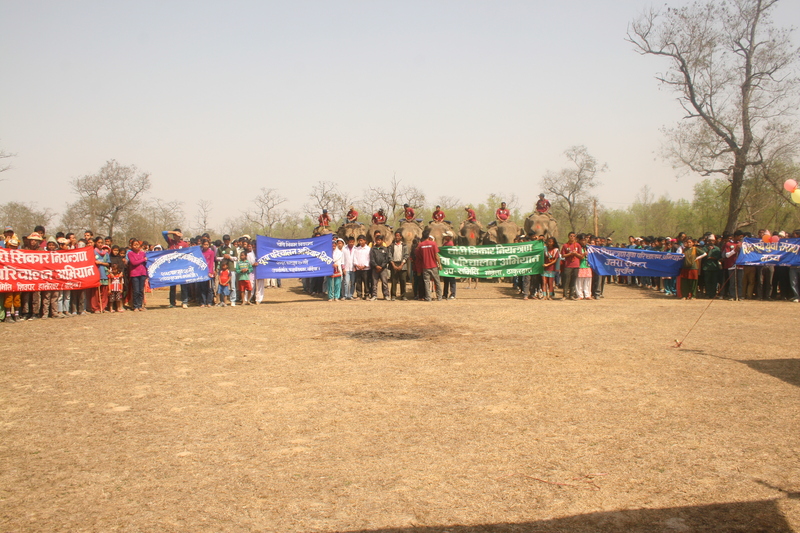 Bardia, Nepal – Community Based Anti-Poaching Unit (CBAPU) Day was successfully celebrated as Youths and representatives from the government, diplomatic missions, conservation partners and civil society came together and expressed their commitments towards sustainable actions to curb wildlife crimes in Nepal. 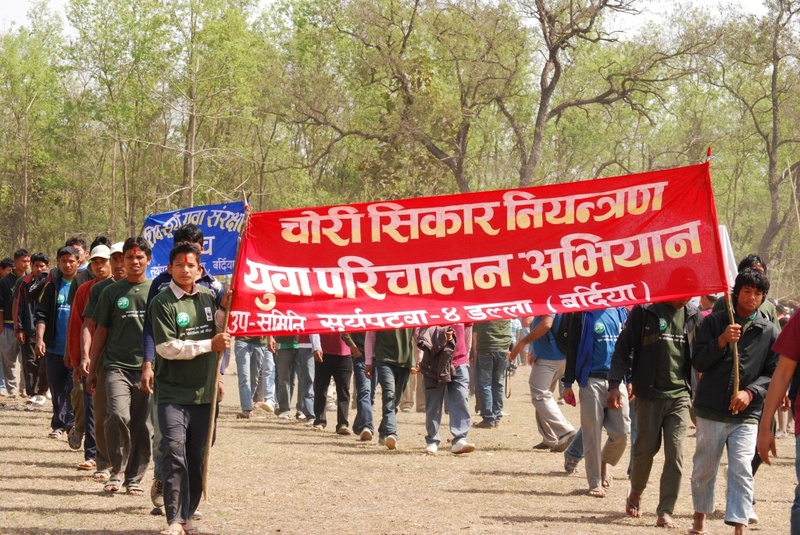 On March 12, 2012 more than 3000 people including 1000 CBAPU members came together at the Khata-Corridor, Dalla village of Bardia National Park to celebrate CBAPU success and to show their unity against wildlife crimes in the Terai Arc Landscape. The CBAPU members represented five protected areas/Buffer Zones and six corridors (from Parsa to Kanchanpur). Addressing the program, Mr. Bishnu Prasad Tharu, State Minister of Commerce and Supplies who also represent Bardia in the Constituent Assembly expressed his happiness to see the meaningful participation of the local youths in the anti-poaching operations irrespective of the risks involved in combating wildlife crimes. Mr. Krishna P Acharya, Director General, Department of National Parks and Wildlife Conservation (DNPWC), assured to include youth led anti-poaching and other innovative initiatives in the regular government program. Key conservation messaging Mr. Devi Prasad Devkota, Chairperson of the Bardia National Park and Buffer Zone Management Committee and Ms. Malina Joshi, Miss Nepal 2011 and WWF’s Young Conservation Ambassador called upon individuals and organizations alike to take proactive steps to curb wildlife crimes. 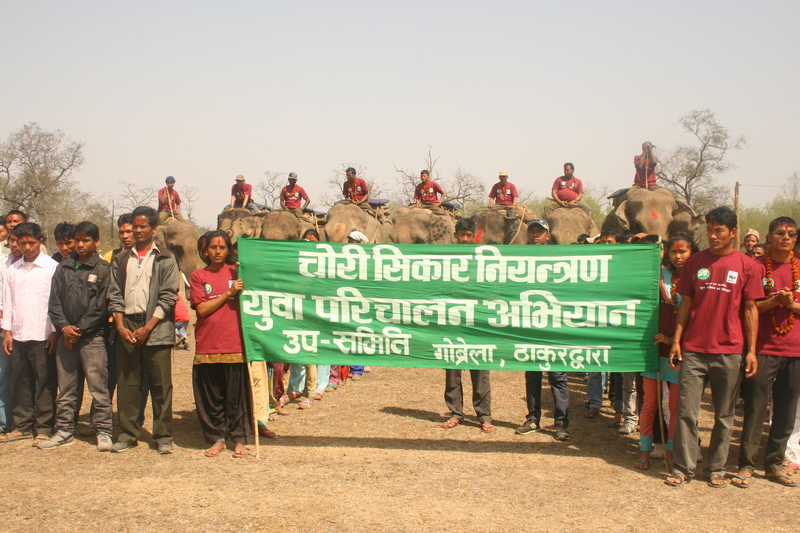 Dr. Ghana S Gurung, Conservation Program Director, WWF Nepal, said "we are delighted to see the magnificent effort of youths in curbing wildlife crimes and also happy to be a part of this grand celebration. We would like to express our commitment for the continuation of this initiative". Traditional Tharu dances and elephant race were also a part of the ceremony that attracted other local community members and tourists.